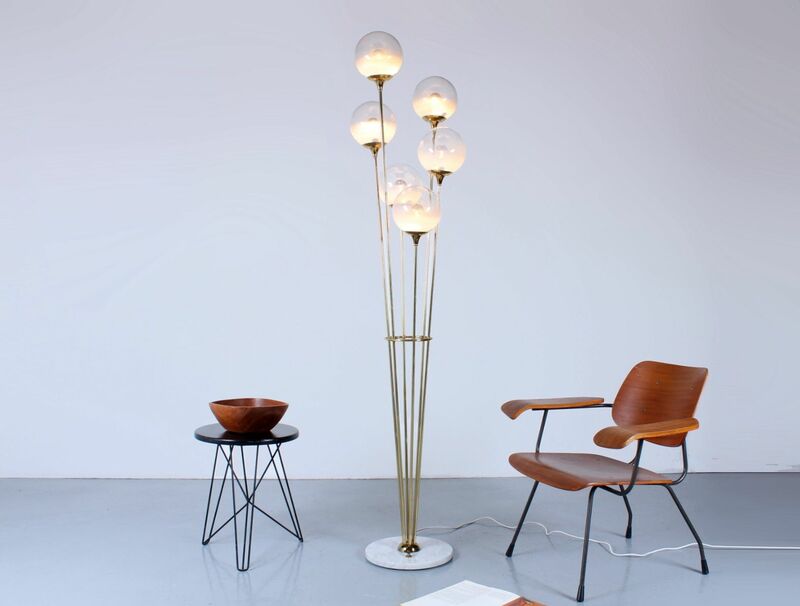 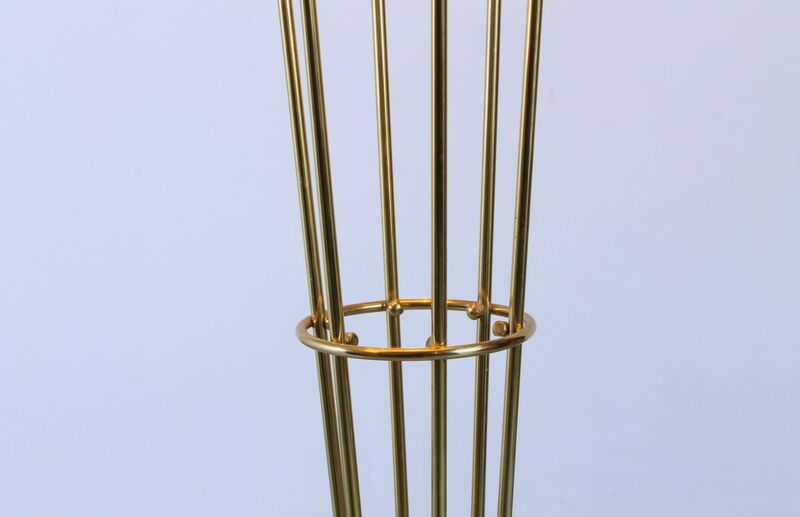 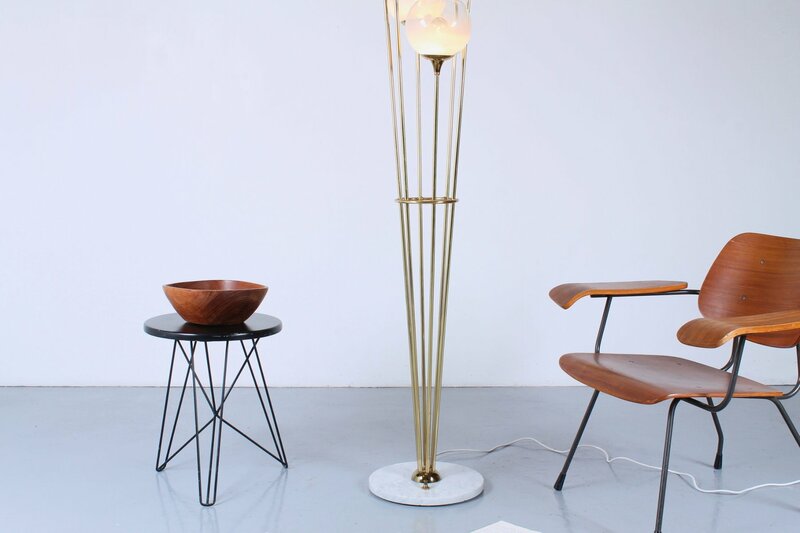 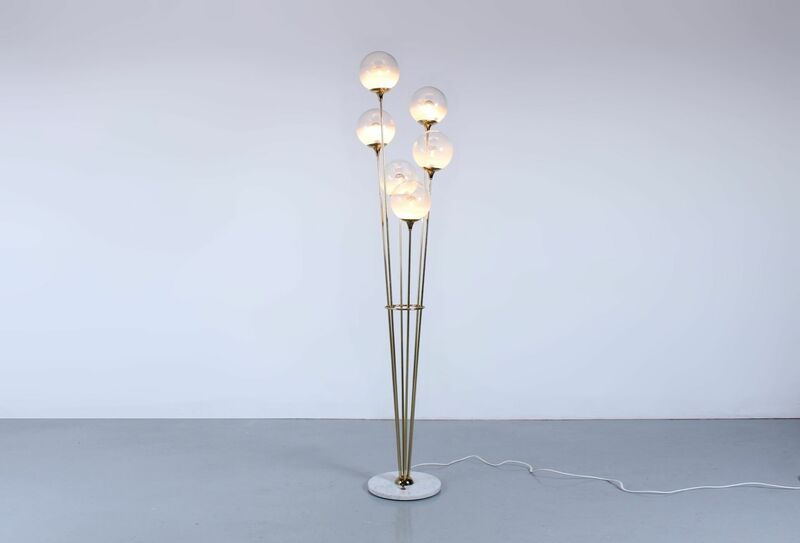 This is a glamorous vintage floor light from Stilnovo, model 'Alberello' (meaning small tree). 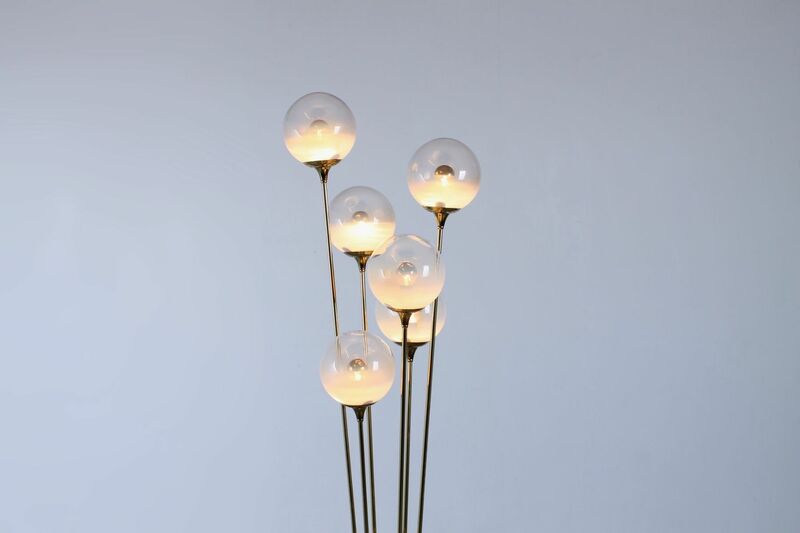 This lamp has an attractive soft and flower-like appearance. 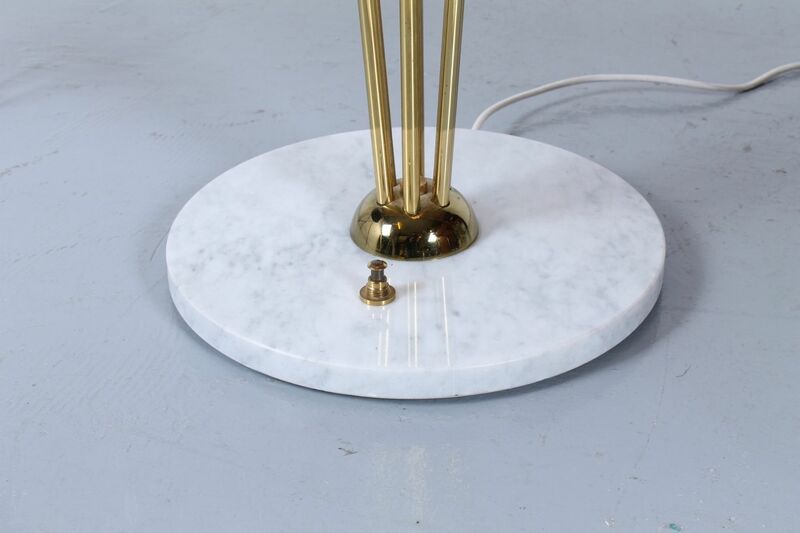 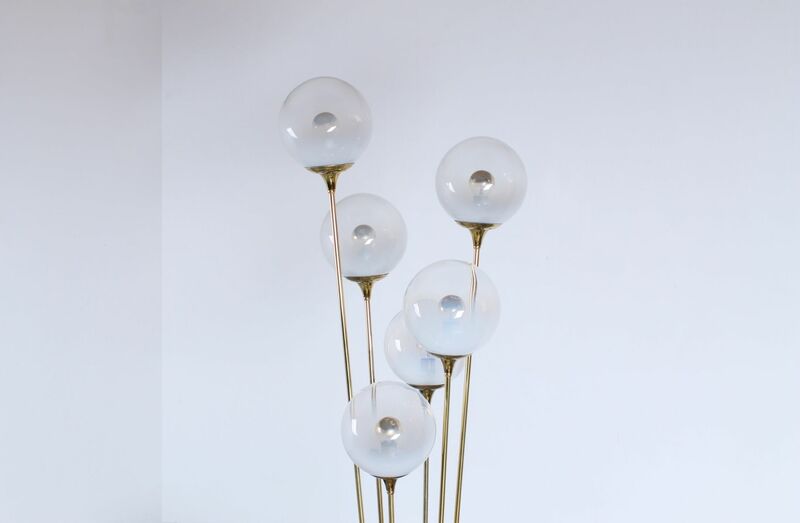 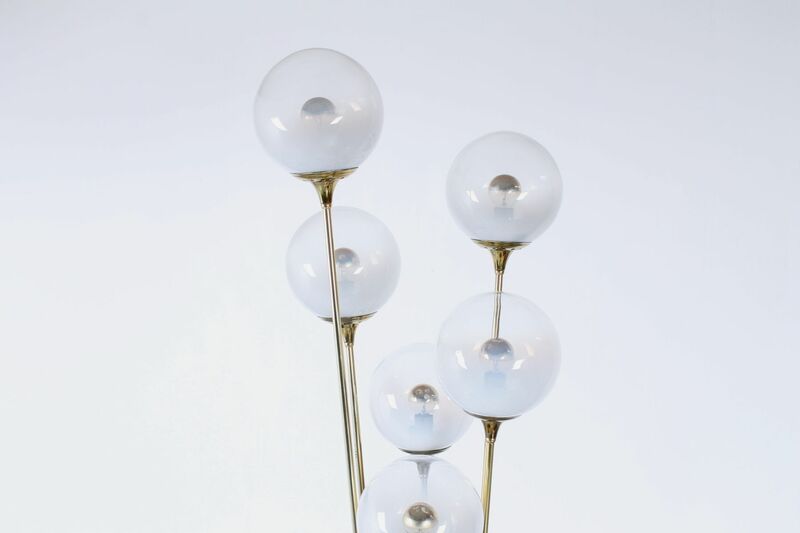 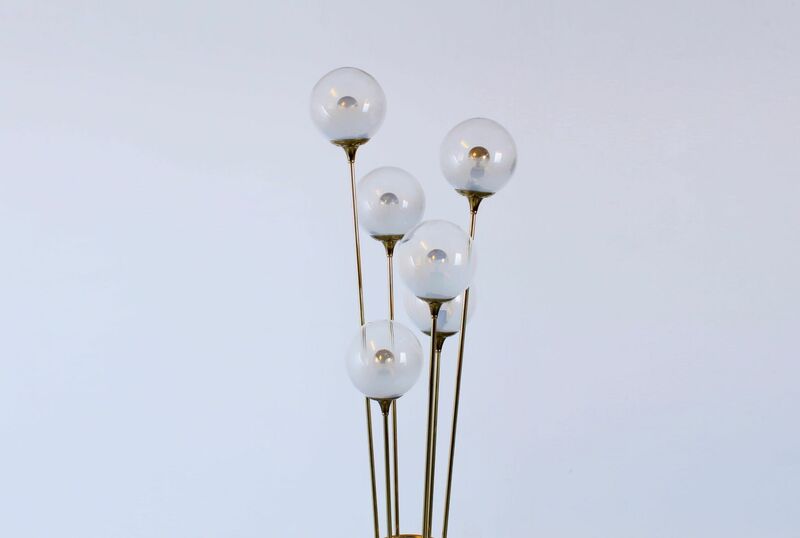 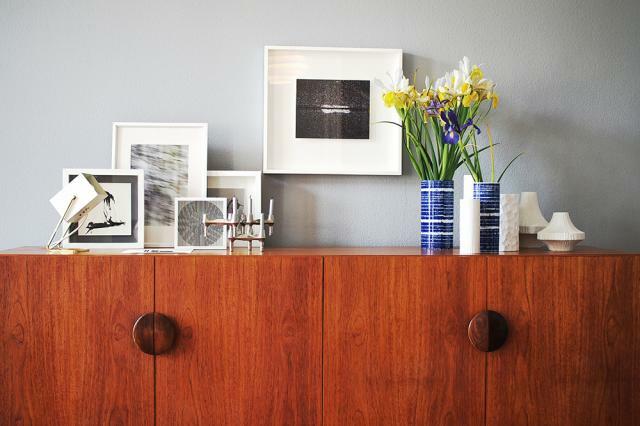 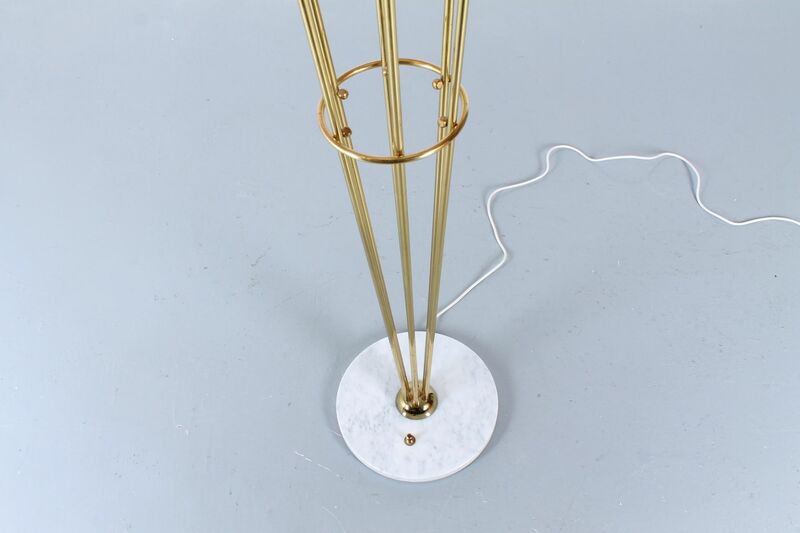 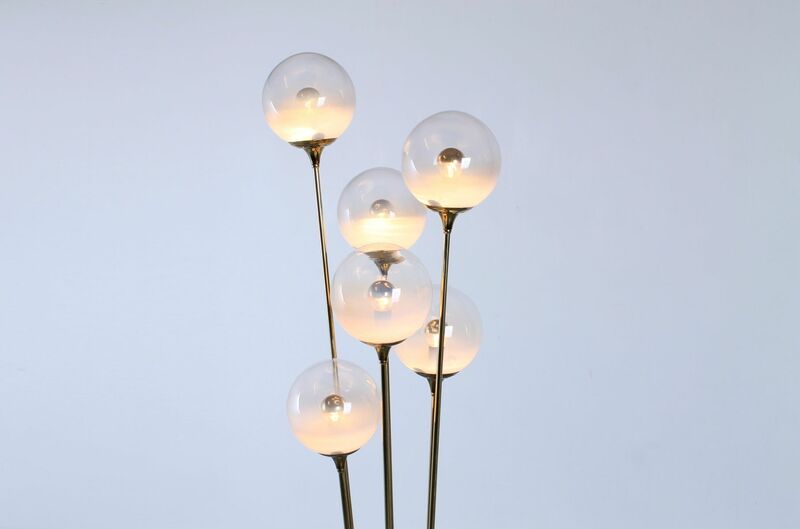 6 brass stems, each holding a glass globe, emerge from the heavy marble white Carrera base. 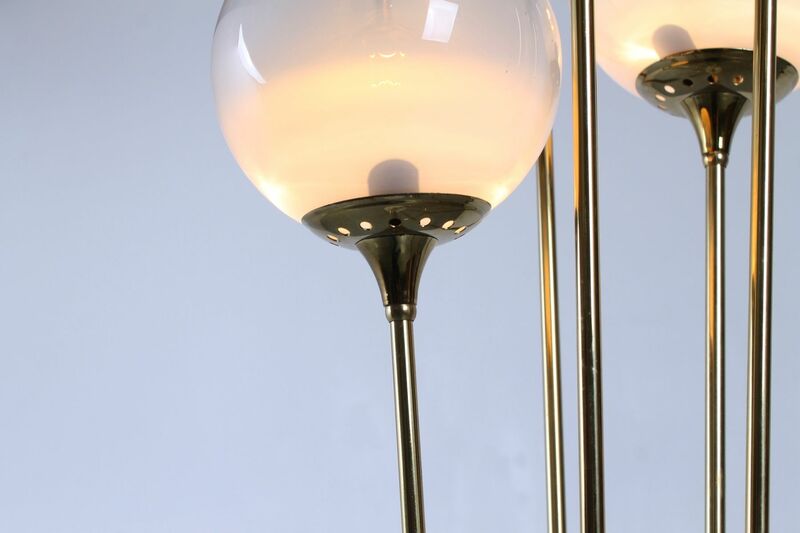 The brass parts compliment the fine hand-moulded glass very well. 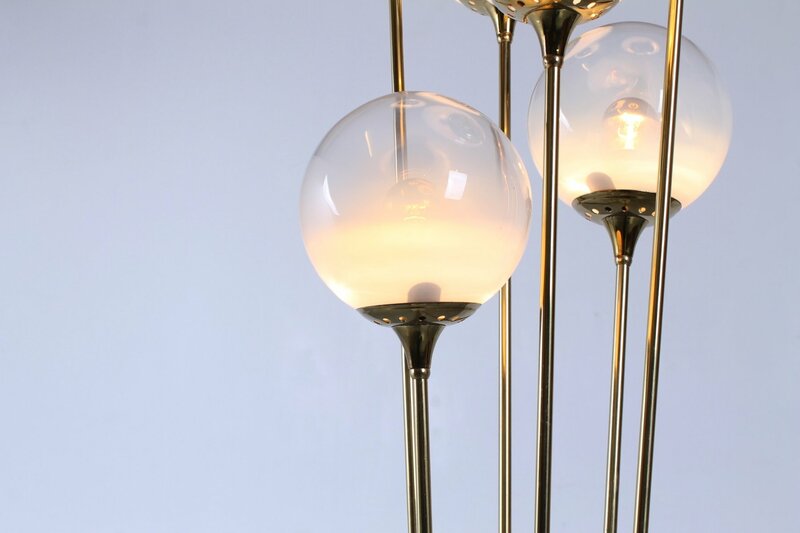 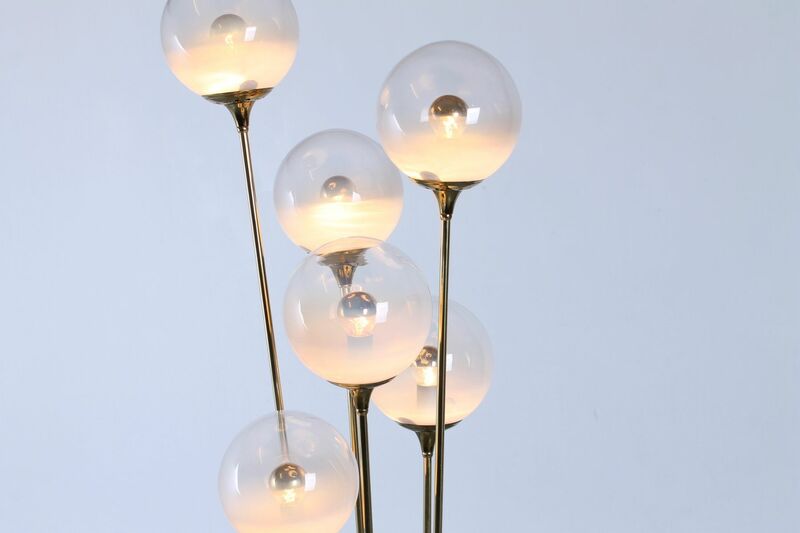 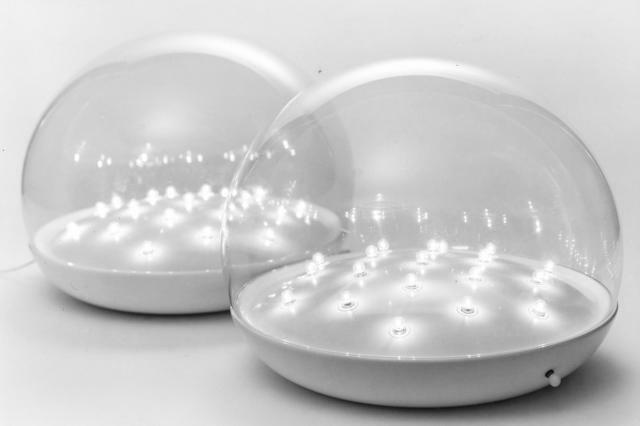 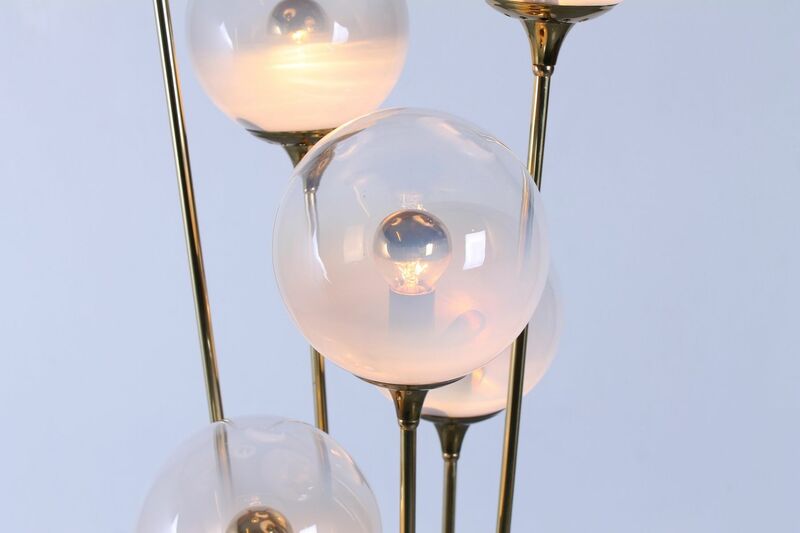 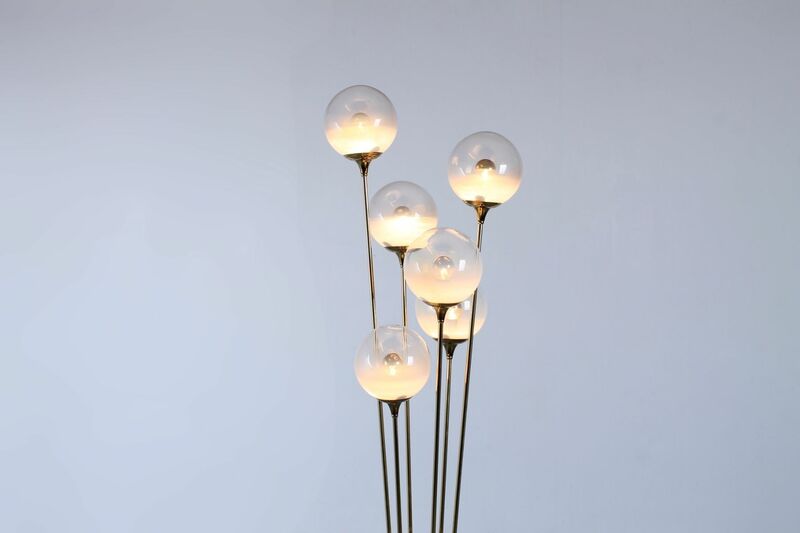 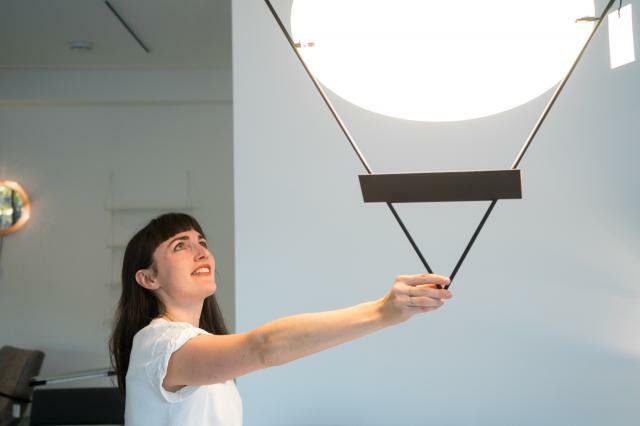 The 6 globes have a partly opaque white appearance, and diffuses the light source slightly to provide a warm light reflecting on the brass and the surroundings. 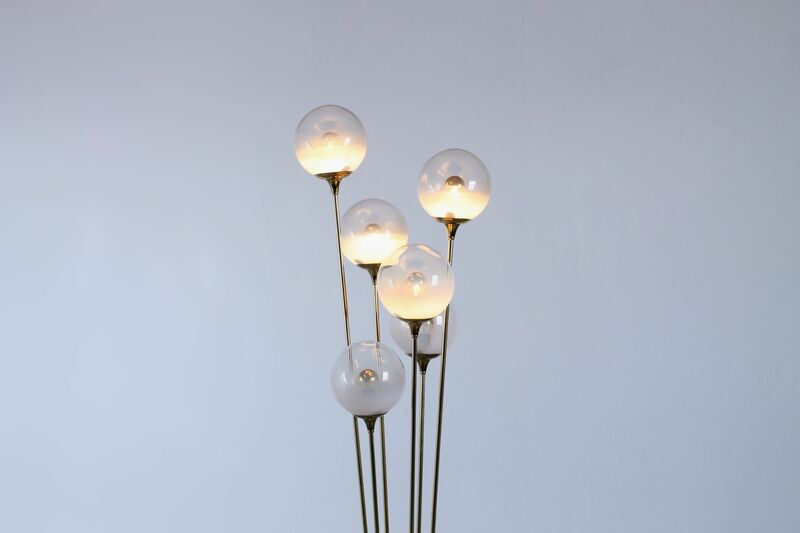 The light can be lit in 3 different ways; just 2 globes, 4 globes, or all together. 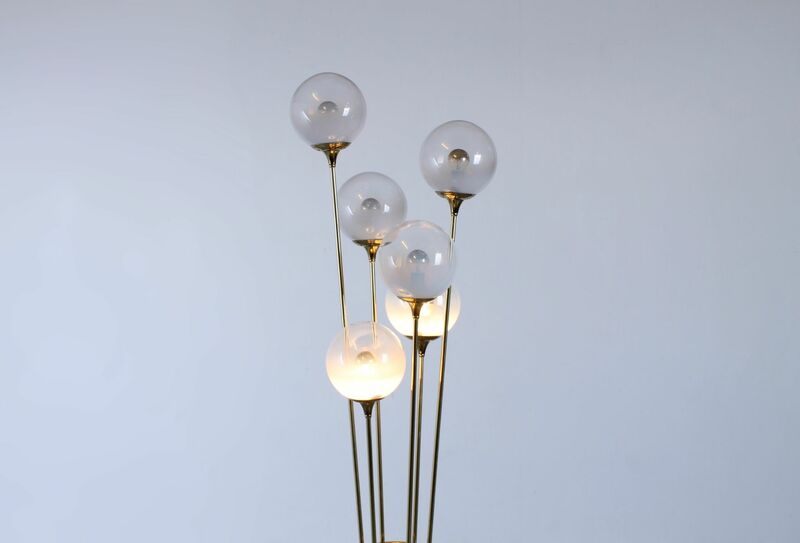 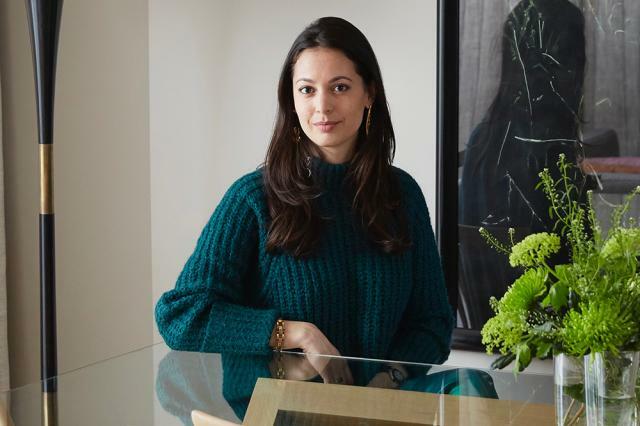 The lamp comes with the original E14 brass plated mirror bulbs. 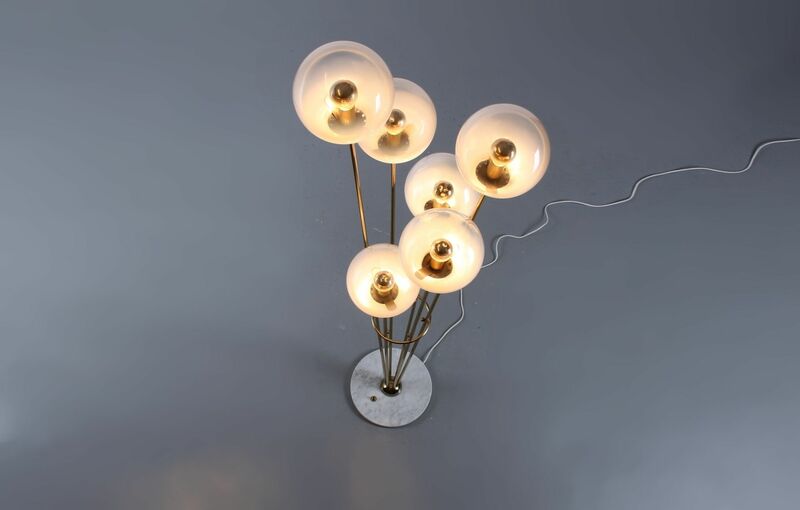 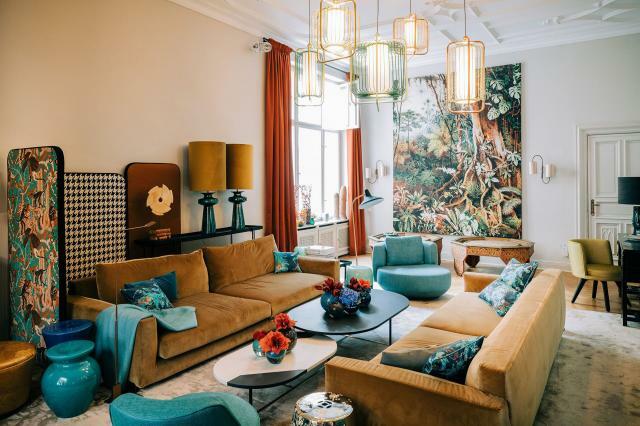 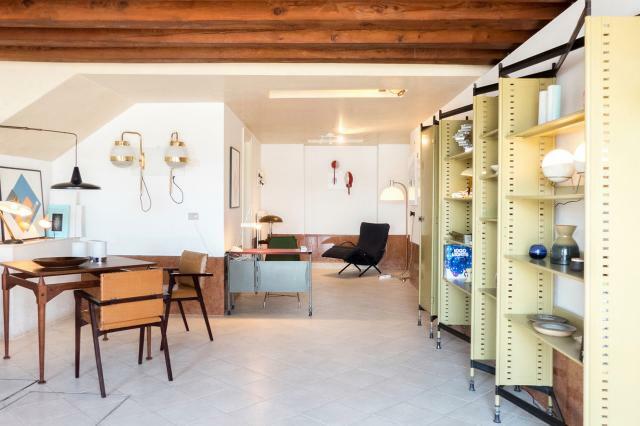 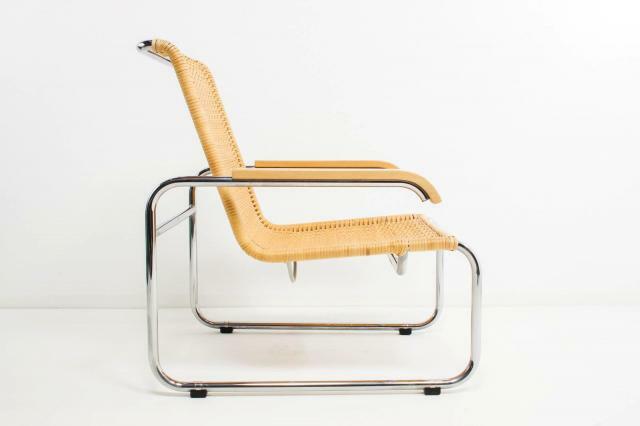 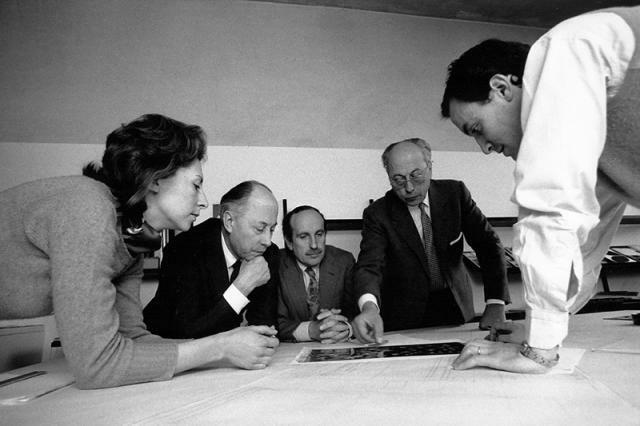 Together with Arteluce and Arredoluce, Stilnovo was a significant part of the first innovating Italian lighting companies of the 20th century.